Initially in the automotive tuning kit business, Construzione Automobili Intermeccanica was founded in 1959 in Italy's automobile manufacturing capital, Torino. The man behind the company was Frank Reisner, an entrepreneur who would later move the company to Canada. The first cars produced were Formula Junior racers, fitted with a Peugeot engine, but Reisner had bigger plans, and soon started to import American V8 engines for installation in his road going chassis. These cars were the Apollo GTs that would ultimately pave the way for their successor, the Omega. 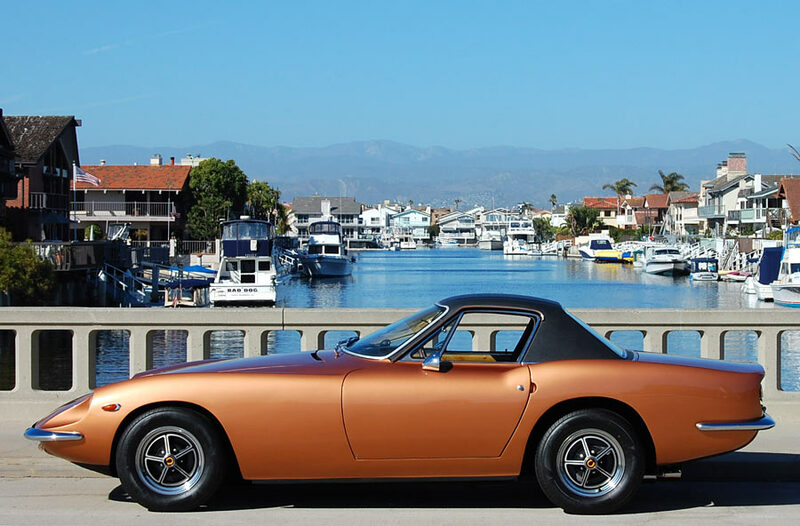 The Intermeccanica Omega was among the most attractive and potent Italian-American hybrids of the 1960s and 1970s. Its sleek styling is credited to Franco Scaglione and Robert Cumberford, while Frank Reisner designed the chassis, later including some changes suggested by Formula 1 engineer John Crosthwaite. Intermeccanica built the bodies in Torino, using steel panels hand-hammered in the old fashion over wooden bucks. The bodies were welded to 4-inch square tube frames and then sent to the soon-to-be-famous North Carolina racing shop of Holman-Moody for final assembly. Enjoying a direct pipeline to Ford, the Holman-Moody crew would, in company with Carroll Shelby, prepare GT40s and other exotic machinery for Le Mans 24 Hours, as well as countless other racing applications. Just 33 examples of the Omega are known to have been built, far fewer than the contemporary Italia model that succeeded it. Believed to have been sold new in the Southwest, this Omega coupe most recently enjoyed twenty year long ownership by Roy Smalley, owner of Eurowerks, a restoration shop in Campbell, Texas. The consignor, who acquired the car from Smalley in 2008, states that a complete, 15-year, show-quality bare-metal restoration of this rare car was only recently completed. The hand-fabricated steel body and frame were found to be nearly rust-free with no evidence of any prior damage. The body received a Glasurit respray in its original color, and a new windshield. A new tan leather interior with matching carpets was sewn by Howard Cox of Fort Worth, Texas. A full compliment of rebuilt Jaeger gauges fills the instrument panel behind an elegant wood-rimmed, alloy-spoked steering wheel. The odometer was re-set to zero and currently reads about 60 miles. The car's actual accrued mileage is unknown, but the consignor states that it was probably quite low, given the car's good overall condition when it was purchased by Mr. Smalley. A Hi-Po Ford 289 cubic inch V8 with an Edelbrock four-barrel carburetor delivers power through a four-speed Ford gearbox to a live rear axle. The consignor states that both the engine and transmission were fully rebuilt and the rear axle was inspected, found to be in good condition, and resealed. The front suspension and the four-wheel disc brakes were rebuilt with modern high-performance components including tubular control arms. The body and paint presents very well today indeed, with re-chromed bumpers, while the other brightwork is similarly in excellent condition. The electrical system was completely rewired, and a modern heating and defrosting system was installed, along with a tilt-adjustable steering column to improve driver comfort. The vendor advises that the Omega is mechanically healthy and it certainly will look sensational out on the road. Only a small number of Omegas are known to survive. This handsome example presents very well, and appeared at the 2013 Pinehurst Concours d'Elegance, which featured a display class for cars prepared by Holman-Moody. As the prices of true thoroughbred Italian GT cars of the 1960s and 1970s continue to escalate, Italian-American hybrids such as the Omega offer a compelling alternative. This Intermeccanica, one of only 33 such cars assembled by leading race shop Holman-Moody, occupies a special place in history and awaits a new owner who appreciates its combination of Italian style and American V8 performance.